LONDON, UK, September 29, 2010 (ENS) – One in every five of the world’s plant species is threatened with extinction, biodiversity experts said today in the first global analysis of extinction risk for the world’s estimated 380,000 plant species. Conducted by scientists at the Royal Botanic Gardens, Kew together with colleagues with the Natural History Museum, London and the International Union for the Conservation of Nature, IUCN, the assessment presents a baseline for future plant conservation. Most of the threatened species are found in the tropics, the report shows. The greatest threat is habitat loss caused by human activities, mostly the conversion of natural habitats for agriculture or livestock use. The analysis was released today as governments prepare to meet in Nagoya, Japan in mid-October to set new conservation targets at the United Nations Biodiversity Summit. “We must take steps now to avoid losing some of these important species and the UK will show leadership as we look to make progress towards a framework for tackling the loss of the Earth’s plant and animal species,” she said. For the first time we have a clear global picture of extinction risk to the world’s known plants,” said Professor Stephen Hopper, director of the Royal Botanic Gardens, Kew. “This report shows the most urgent threats and the most threatened regions. This study confirms what we already suspected, that plants are under threat and the main cause is human-induced habitat loss,” Hopper said. Scientists from the Kew, the Natural History Museum and the IUCN Specialist Groups assessed a representative sample of the world’s plants, in response to the United Nations’ International Year of Biodiversity and the 2010 Biodiversity Target. The 2010 Biodiversity Target was set in April 2002, when the governments that are Parties to the Convention on Biological Diversity committed themselves to achieve by 2010 a significant reduction of the current rate of biodiversity loss at the global, regional and national levels as a contribution to poverty alleviation and to the benefit of all life on Earth. This target was endorsed by the World Summit on Sustainable Development and the United Nations General Assembly and was incorporated as a new target under the Millennium Development Goals. But in April, a report on over 30 indicators concluded that world leaders have failed to reduce the global rate of biodiversity loss by 2010 and have instead overseen biodiversity declines. Next month the meeting in Nagoya will attempt to set a 2020 biodiversity target that will likely be to halt biodiversity loss and the degradation of ecosystems services by 2020, and to restore them wherever feasible. The assessment released today shows that plants are more threatened than birds and as threatened as mammals, but plant species are less threatened than amphibians or corals. Both common and rare species were assessed in order to give an accurate picture of how plants are faring around the world. The most threatened habitat is tropical rainforest. The study points out that the current rate of loss of tropical forest accounts for 20 percent of global carbon emissions. Gymnosperms are the most endangered plant group. These seed-bearing plants whose seeds do not form inside fruits but outside, include conifers, cycads, ginkgo and the tropical evergreen trees, shrubs and lianas called gnetales. 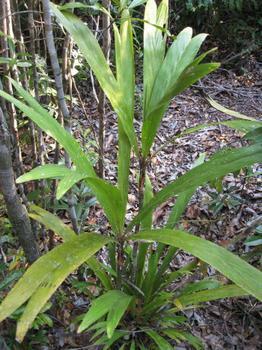 Many of these gnetum species are edible, as the seeds are roasted, and the foliage is used as a vegetable. 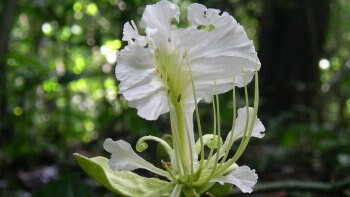 Some are valued as herbal medicine. In a separate study published in July, a trio of American and British researchers warned that thousands of rare flowering plant species worldwide may become extinct before scientists can even discover them. 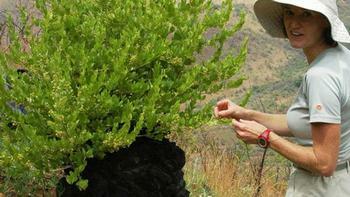 Scientists are continually discovering plant species previously unknown to science. Among the more than 250 new species discovered or described by Kew scientists in the past year are massive flowering trees in the rainforests of Cameroon. The tallest is the Berlinia korupensis, named by Dr. Barbara Mackinder, which stands 42 meters in height. A member of the pea family, the Berlinia bears beautiful white flowers with enormous pods that explode when ripe, propelling the seeds away from the mother tree. The assessment released today adds to the Sampled Red List Index for Plants, which analyzes a large sample of plant species that collectively represent of all the world’s plants. The Sampled Red List Index for Plants is part of the IUCN’s authoritative Red List of Threatened Species, a worldwide effort to create a tool to monitor the changing status of the world’s major groups of plants, fungi and animals.